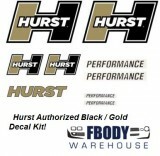 Make your third gen Camaro right with new replacement factory specification decals. These are the small decals GM placed throughout the car to show things such as spare tire information, jacking stowing directions, emissions, and hose and belt routing. All GM authorized and snap to install!